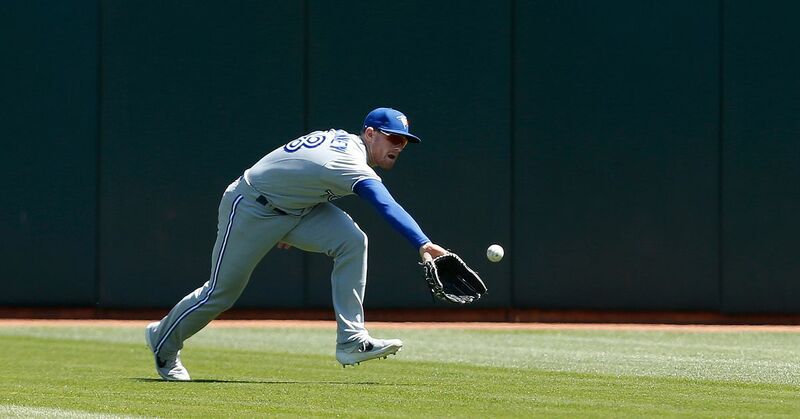 Last time we chatted, I discussed what I think the Toronto Blue Jays needed to do this offseason to bolster their lineup (click here for a quick reminder). I suggested Prince Fielder as a possible solution, though it did stir some controversy among many Blue Jays fans. Bottom line is that I think they need a first baseman/designated hitter. Joey Votto is another name, but I think he might cost the Blue Jays Deck McGuire/Kyle Drabek and Jake Marisnick/Anthony Gose, a steep price. Now, if Alex Anthopoulos waves his magic wand and gets Votto here without giving too much talent, I’ll gladly take him over Fielder. But today, we are going to focus on the starting pitching. First, let’s list some of the candidates to fill the rotation next year: Ricky Romero, Henderson Alvarez, Kyle Drabek, Brandon Morrow, Brett Cecil and Dustin McGowan. Now out of the six candidates I have listed, I firmly believe at least one will/should be in the bullpen (maybe two). I think the Blue Jays have clearly developed a No. 1 starter in Ricky Romero. Romero has continued to improve ever since his rookie campaign in 2009. Romero’s success is driven from his control and using all his pitches. His changeup induces many strikeouts and his sinker many ground balls. He also mixes in a cutter and an occasional curveball. He can have more success if he lowers the walk numbers and gives up fewer home runs, but for a pitcher in the AL East, he has done a phenomenal job and with more run support, he would be up there in wins. One must remember that in being the No. 1 starter, he usually faces the ace of the opposing teams, thus the lower run support. I think Romero has the proper attitude and leadership skills to be the ace of the Toronto Blue Jays moving forward. So who is the No. 2? There have been debates going on within Blue Jays fans whether the No. 1 priority for the Blue Jays should be a No. 2 starter or a bat. I believe that the No. 2 starter is more important than the bat, though I also believe it could be easier to acquire the bat this offseason and the starter later on. Firstly, the free agent market for starters this year is relatively thin, with only CJ Wilson and Mark Buehrle highlighting the list (maybe CC Sabathia if he opts out of his contract). In addition, No. 2 starters just do not become available on the trade market, and usually teams pay a steep price when acquiring them. The main reason why I would not mind if the Blue Jays do not acquire a starter this year is because of two names: Henderson Alvarez and Kyle Drabek. Both Alvarez and Drabek have the potential to become No. 2 and No. 3 starters behind Romero. Alvarez, a 21-year old Venezuelan, has absolutely dazzled since his call -p in August. Alvarez contains a three-pitch mix, comprised of a fastball that can range from 93-96 miles per hour with sink, a changeup and a "work-in-progress" slider. What makes Alvarez successful is that he is not afraid of attacking hitters, has great control and the ability to get outs via ground ball (sinker) or strikeout (changeup). Also, being a former infielder, he can field his position quiet nicely. Teams like New York Yankees and Boston Red Sox will not have much success working the count against him, as he will come right after them and pound them with hard sinkers down in the zone. In addition, he barely leaves pitches up in the zone to get blasted for home runs. His mentality and approach is a recipe for success. Expect him penciled in for the rotation next year. I believe it is worth watching what Alvarez can do next year before trading away prospects/spending big dollars on a No. 2 starter. The other name that many have brushed aside is Kyle Drabek. It seems like many have given up on the Blue Jays top prospect after just half a season in the major leagues. Last year around this time, fans were saying, here comes the next ace of the Toronto Blue Jays. The reality is that Drabek had control issues this year, and this has been his Achilles’ heel throughout the minors, though Drabek has the stuff to be a solid No. 2 in the AL East. To make matters worse, upon struggling, the Blue Jays threw the frustrated Drabek into the PCL to figure out his issues. It is very difficult to judge the progress he has made by looking at boxscores from PCL games due to the hitter-friendly environment he was in, though the walk numbers are still alarming. The alarming numbers Drabek has put up in the PCL have caused many fans to say he is a bust and that he should be used as trade bait. Many scouts believe that if Drabek were a rookie, he would easily be ranked in the top 20 prospects for the upcoming 2012 MLB season (even after this year). Even Anthopoulos was impressed with the progress Drabek made in the minors this year, including throwing fewer cutters and more four-seam fastballs. Drabek will eventually come around—he is too young to be given up on, and he will mature as he ages. I believe Drabek can use the offseason to clear his head and figure out a few things, including issues with his mechanics. One must remember that Drabek was drafted in 2006 as a high school pitcher, which means if he had chosen college, he would have been drafted in 2009. The Blue Jays 2009 1st round pick is currently in AA, and by no means am I saying Drabek and Chad Jenkins’ upside are the same or Drabek should be in AA. Let’s leave Brandon Morrow and Brett Cecil aside for now and jump right to Dustin McGowan. As we all know, McGowan has now returned from a three-year hiatus and has shown great signs of promise. He has thrown his fastball in the high 90s and his changeup in the mid-to-high 80s, along with a few sliders and curveballs. The key is that he is healthy and mixing his pitches well. I believe McGowan can serve as the Blue Jays No. 4 or No. 5 starter next year if he can stay healthy. It is now time to round up the starting rotation, leaving two candidates, Cecil and Morrow. I believe one can be the fourth/fifth starter while the other becomes a late-inning reliever, if not the closer. Personally, at this point I would choose Cecil as the starter and Morrow as the closer. Morrow this year has taken a step backwards, mostly because he is a starter using only two pitches. Morrow falls in love with his fastball too much and leaves his slider up and sometimes flat. If he wants to be successful as a starter, he needs to mix in a changeup and pitch lower in the zone. Now, his fastball and slider mix can be ideal for a closer. On the other hand, Brett Cecil has struggled with velocity issues this year, but he has been solid since his return from Las Vegas. He has posted 3.84 ERA since his return. If he picks up the velocity on his fastball, he can manage to be a solid No.4 or No.5, though he can also be a late-inning reliever, using a fastball-slider mix on lefties and a fastball-changeup mix against righties. These are just my thoughts on the starting rotation moving towards the 2012 season. I am not saying the Blue Jays should not acquire a No. 2 starter if the price is cheap. But I would not be dissatisfied with a rotation of Romero, Alvarez, Drabek, Cecil/Morrow and McGowan to start the year. If the Blue Jays are competing at the trade deadline, they can possibly move a prospect to acquire a potential 2013 free agent for the stretch run.